Each dog is different, and all dogs play. However, since behavior and attitude can vary significantly across breed lines, some dogs tend to be more playful than others. For some people, a low energy dog makes the perfect companion. It's not a knock on the pup to call it low energy, they aren't lazy, they simply are not, by nature, as active or as boisterous as some of their peers. They'll usually take a nap by the fire any day over a long run in the snow - or a long walk in the sunshine - and they are the kind of cuddly, affectionate furkids who need lots of love, just not as much exercise. For example, a survey of 56 breeds found that English Springer Spaniels, Irish Setters and Airedale Terriers scored high in playfulness while Bulldogs, Chow Chows and Bloodhounds scored very low. The one thing that all dogs do still need however is fun playtimes! But the kind of running, jumping tugging fun that their more energetic cousins enjoy is often really just not their cup of tea. This means they often benefit from a slightly different kind of toy. But which are the best interactive toys? 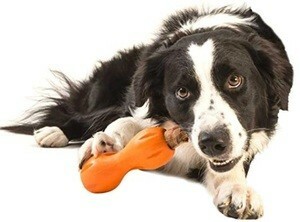 Or dog mental stimulation toys to keep Fido engaged when the weather's too cold for outdoor fun? The right toys to challenge their minds and prevent boredom? 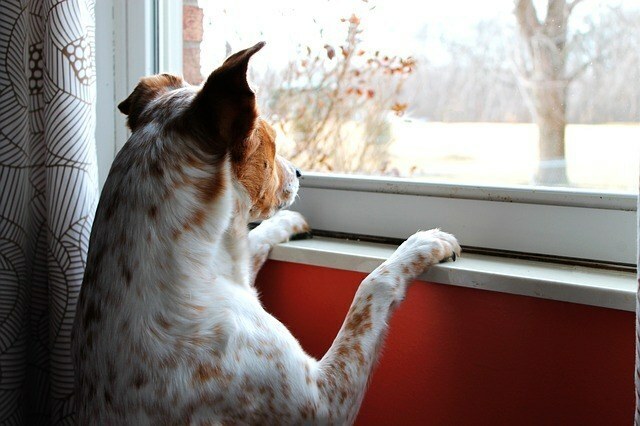 Interactive dog toys are those that Fido manipulates to make something happen. These range from a basic toy with multiple squeezers to complex brain-stimulating puzzles that require your pet to manipulate puzzle pieces to find the hidden treat. Read on through our guide to find out the best puzzle and dog mental stimulation toys. This interactive dog toy is best puzzle toy for your large or small dog. It provides mental stimulation, prevents boredom and will keep low-energy or high-energy pups entertained for hours on end. Low energy does not mean low intelligence and even the slowest moving of pups enjoys a fun mental challenge once in a while. 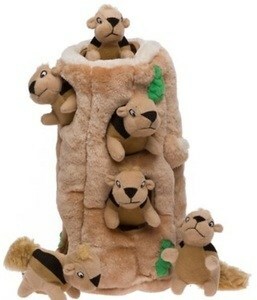 And that is exactly what the Outward Hound Hide-a- Squirrel Puzzle Dog Toy provides, as well as a few extra cuddly friends who can be taken to bed when playtime is over. Depending upon the size you purchase, your puzzle tree will come with either three or six squirrels to hide in the holes in its branches. The challenge for your dog is to find each one and root them out until the tree is squirrel free! The squirrels also feature different textures and sounds to make things even more engaging and enjoyable for your lower energy pup. Pet parents of lower energy dogs like this toy because it presents a calmer challenge and interests and engages their pup, even if, in real life, their furkid would never dream of wasting their energy chasing a real squirrel! The fact that each furry critter makes a soft, safe playmate on its own is a bonus for many as well and many are impressed with the little toy's durability as well. Available in sizes Junior ,Large, Jumbo and Ginormous. While chasing a ball at high speeds or getting involved in a lively game of tug may not be your lower energy pup's favorite pastime, chewing on a nice bone quite probably is, as it's just the kind of passive, but rewarding, action they can really enjoy in between naps and pampering sessions. 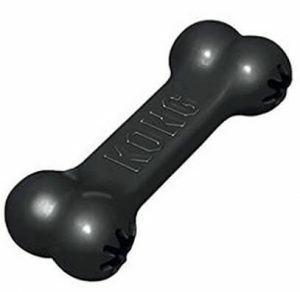 The KONG Extreme Goodie Bone Dog Toy is a mylar bone replacement crafted from a soft rubber that can be stuffed with your pup's favorite treats with ease. 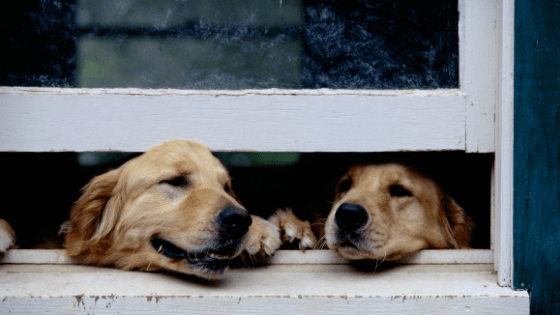 It offers the chance for dogs to enjoy some great 'bone time' - and a little challenge - without having to make too much of an effort to get their paws - and their mouths - on the goodies they crave. Make your pupster work for his breakfast - stuff the Kong goodie bone with his breakfast the day before, then freeze it. Give him his breakfast as you leave for work to keep him entertained for hours (plus he'll associates you leaving the house with food arriving). Reviewers praise this toy for its durability and its ease of use, as well as for the fact that it saves them money over store bought 'real' dog bones. This is another puzzle toy for dogs of all shapes and sizes that offers pups the chance to have lots of fun without having to expend too much energy. Its brightly colored and shaped a little like a bone, making it easy for even smaller dogs to get to grips with. It can hold all kinds of treats - everything from apple slices to their favorite kibble to rawhide sticks - and it offers a mental challenge that is engaging without being overly exhausting. Those who have purchased this toy for their low energy furkid praise it for its clever design and for the fact that it lasts and lasts, while also being very versatile - it can be stuffed with almost anything edible in the right shape/size - and easy to clean. 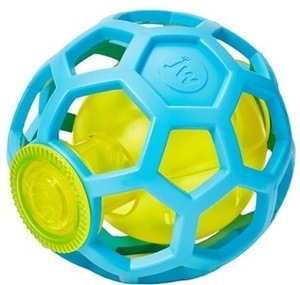 Not every low energy dog wants to work too hard for their treats and if that is the case for your furkid then, according to many of those who have purchased the Pet Zone IQ Treat Ball Dog Toy this basic, but durable puzzle ball may just become their new favorite toy (or at least one of them). 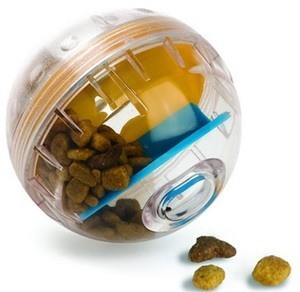 The clear ball is crafted from a tough, pet safe plastic and the puzzle difficulty can be easily adjusted on an as-needed basis. It accommodates most common dog treats and can even be safely washed in the dishwasher. Some pet parents did remark that this toy seems to work best for smaller dogs and that while it is relatively durable it won't stand up too long to very aggressive play, which makes it perfect for many low energy dogs as that's really not their thing anyway. 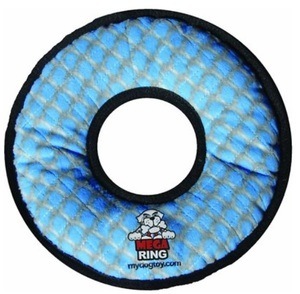 Part soft chew toy, part tug toy the Tuffy's Mega Ring Dog Toy might be the right choice for a lower energy dog who does enjoy the occasional game of tug with their pet parent but does not enjoy making that game over strenuous. The toy is shaped like a donut, is generously sized and attractively brightly colored. It is designed to very durable, thanks to its seven-layer construction, and yet soft enough to cuddle with when playtime is over. Fans of this toy praise it for its longevity as well as the fact that it contains four separate squeakers that are positioned all around the ring is something many think makes it even more engaging and enjoyable for their pups to play with. Many low energy dogs enjoy a dog bone that they can gnaw and gnaw, sometimes even gnawing until they put themselves to sleep. 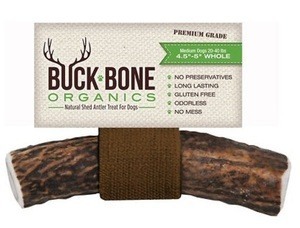 The Buck Bone Organics Whole Elk Antler Dog Chew certainly meets that criteria. The chew is big and chunky, make it easy for most dogs to carry around, and, according to those who have already purchased it is very long lasting and more than worth its actually rather reasonable price tag. The chew itself is all natural 100% naturally shed USA elk antler. In case you didn't know, elks antlers shed painlessly and naturally, so no elks are harmed in the creation of these chews! It also contains a number of essential vitamins and minerals and is naturally gluten-free, so should not lead to any tummy upsets in gluten sensitive pups, something else that many people praised. And, although they really have no way of knowing many past purchasers assume, based on their pet's excited reactions, that these chews taste really good as well. This is another puzzle ball that offers dogs of all sizes - and all energy levels - the chance to 'work' for their treats and be rewarded for their efforts on their own 'schedule'. The bright colors make it interesting but the clear, durable exterior of the ball makes it easy for pups to keep their 'eye on the prize' as they work to set their treats free. Pet parents of smaller dogs recommend this ball highly and love the fact that it is crafted from a softer, pliable rubber rather than a harder plastic making it easier on the sometimes rather sensitive teeth of smaller, lower energy dogs. This is just a small selection of the many great toys that are available to keep low energy dogs engaged and amused, there are many more, as you will no doubt discover when you start shopping for them online or off. Interactive toys can be a nice addition to a behavior plan for a puppy with separation anxiety. Dog toys like balls and flying discs that prompt Fido to chase, leap and fetch are some of the best interactive dog games available where you could join in the fun. Dogs also enjoy soft, stuffed or fuzzy toys. "Tug" toys are also excellent toys but may not be suitable for aggressive dogs since tug-of-war games can escalate aggression. However these can boost the confidence of a shy dog. So what other criteria should you be looking for in the best interactive dog toys? A bit of a challenge will be good for many such dogs since, as we mentioned earlier, low energy does not equal low intelligence and most less rambunctious dogs still enjoy, and look forward to, playtime with their pet parents, although it may not last as long as it might if they were a higher energy breed. Safety is also very important as many lower energy dogs are smaller dogs. Poorly made toys that shatter easily - as some of the plastic puzzle balls tend to - or squeakers that are a little too small can be dangerous for a smaller dog to play with, so make sure you check out all safety warnings and notices carefully before you buy. Reading online reviews can be very helpful as well, as they can often offer you 'real life' insight into the toys that basic product descriptions do not.